"Obesity is the most common nutritional disease seen in cats," says Joe Bartges, DVM, PhD at the University of Tennessee's College of Veterinary Medicine. It is a common bad habit for cat owners to feed their cats too much. Cats only need 24 to 35 calories per pound of body weight each day. This guideline is a general measure and will vary depending on your cat's activity levels, health considerations and overall nutritional needs. Smart owners will have a heart-to-heart talk with their veterinarian about Fluffy's dietary needs and work together to provide the best food choices possible. If you're a cat owner embarking on your own vegetarian health regime and you want to include your furry friend, think again. Cats require some amino acids that are found only in meat. Depriving your domesticated cat of meat and meat products can minimize good health and create conditions or concerns with lifelong consequences. Even dog food does not contain all the amino acids that cats need. Long term feeding of dog food to cats can even cause blindness. As an alternative to commercial cat food, a homemade diet can be prepared for your cat when you're in the kitchen. Be aware that it will be necessary to talk with your veterinarian in advance for nutritional recommendations and supplements. It is important to feed a diet that is nutritionally balanced and this requires using a recipe developed by a veterinary nutritionist. Do not add supplements not included in the recipe. The internet is a source of good recipes at www.balanceit.com or www.petdiets.com. For a nominal fee a veterinary nutritionist will give you a recipe using the meat and carbohydrate of your choice. Your cat will need to maintain recommended nutritional standards for optimal health. Any discussion about your cat's diet should also address your cat's age, health considerations, activity levels and past food choices. "The biggest mistake people make is feeding cats dry food," says Lisa A. Pierson, DVM. Manufacturers have to include a lot of unnecessary carbohydrates in order to make a cat food dry, which can contribute to weight gain and obesity. Cats need a diet that is lower in carbohydrate and higher in protein, which can be achieved by feeding your cat canned food. If you choose to feed your cat dry food, add wet food as well. Review the foods you are feeding your cat during every visit with your veterinarian. As your beloved pet ages and becomes more or less active, his or her nutritional needs can change. In order to maintain total health and wellness, your cat may need changes in their diet such as providing more or less calories each day or switching which foods are being provided. Cats may also need more or less of specific nutrients. For instance, kidney disease is common in cats, and a diet low in phosphorus and protein has been shown in studies to lengthen the time before the symptoms of renal disease worsen. In some instances, your veterinarian may suggest supplements to the foods you currently provide. Working together with your veterinarian for your pet's long term health and wellness is critical. Always remember to talk with your veterinarian about your pet's activity levels, health considerations and nutritional needs during your regular office visits. If you have any questions about your cat's diet or well-being, or if you would like to schedule an appointment with one of our veterinarians, please don't hesitate call us today! "Very positive experience. Staff members are friendly, caring, and clearly love animals. 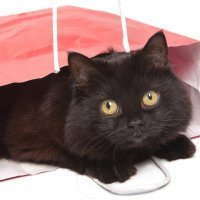 Services were provided with skill, efficiency, and awareness of the experience from my pets' perspectives."